Our cancellation policy is simple: you must cancel your booking with a minimum of 24 hours notice before your Check In date. Our Check In time starts at 2:00 pm. So, if you were supposed to be arriving on Tuesday, you'll need to cancel before 2:00pm on Monday. Bookings over Christmas and New Years will be charged in full 30 days prior to arrival and are non-refundable. Groups of 8 people or more must email coogee(at)madmonkeyhostels.com for prior approval before booking. We reserve the right to cancel, without notification, any reservation for a group of 8+ that has been made online and not been pre-approved by email. This is just because we can't ensure we can meet your group's needs unless we've spoken with you by email first! See our website for our full Group Booking Policy. If you booked directly with us, either in person or through our website, you need to email us at coogee(at)madmonkeyhostels.com to cancel your booking - your cancellation is not confirmed until you have received an email back from us. If you made your booking directly with Mad Monkey, we have not taken any deposit off your credit card. Your credit card information is simply recorded in the event that you are a no-show after your Check In date. You're all good! All our rates include 10% GST. Payments made by credit / debit card are subject to a 1.7% surcharge. Welcome to the first Mad Monkey Hostel in Australia! 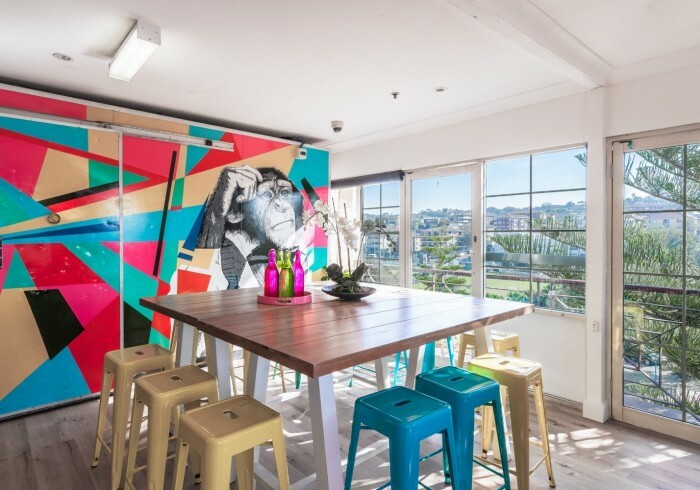 Mad Monkey Coogee Beach is your dream hostel in Sydney. We're located right on Coogee Beach, so you're just moments away from the sand and the surf, as well as tons of great restaurants and bars. Coogee Beach marks one end of the famous Coogee to Bondi Coastal Walk, a must-do when you're in Sydney. Kick back like a local in the hip neighborhood of Coogee to escape the bustle of downtown and have a true Aussie experience. Mad Monkey has recently taken over this beachfront hostel. Our friendly staff is happy to help with anything you need to make sure you have the best stay possible. The hostel is sparkly clean and super friendly, and you can expect to find our normal Mad Monkey social atmosphere that we are famous for. Our unique accommodations offer everything from traditional dorms to apartment-style lodging with en-suite living rooms and kitchenettes. We offer a clean, comfortable, and affordable place for you to call home in Sydney, in newly refurbished rooms and dorms. We’ve also just opened a brand new restaurant and bar attached to the hostel, FNKY MNKY! Come enjoy some delicious eats and a cold one! BOOK A SEVEN NIGHTS STAY WITH US TO RECEIVE A FREE MEAL AND DRINK IN FNKY MNKY !